For May Arts A Happy Accident Craft Challenge. 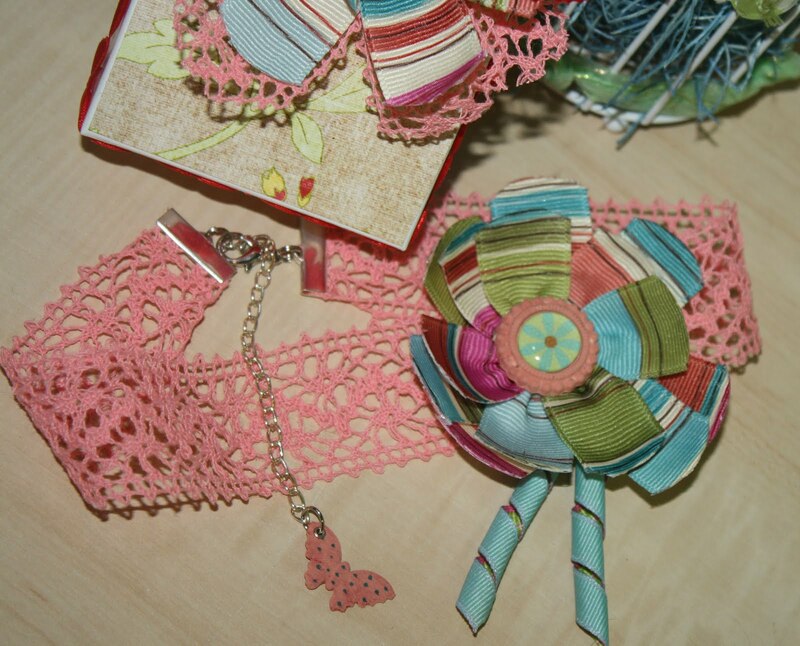 The crochet ribbon is perfect for the choker, just add ribbon crimps to the ends, jump rings, and a lobster claw. 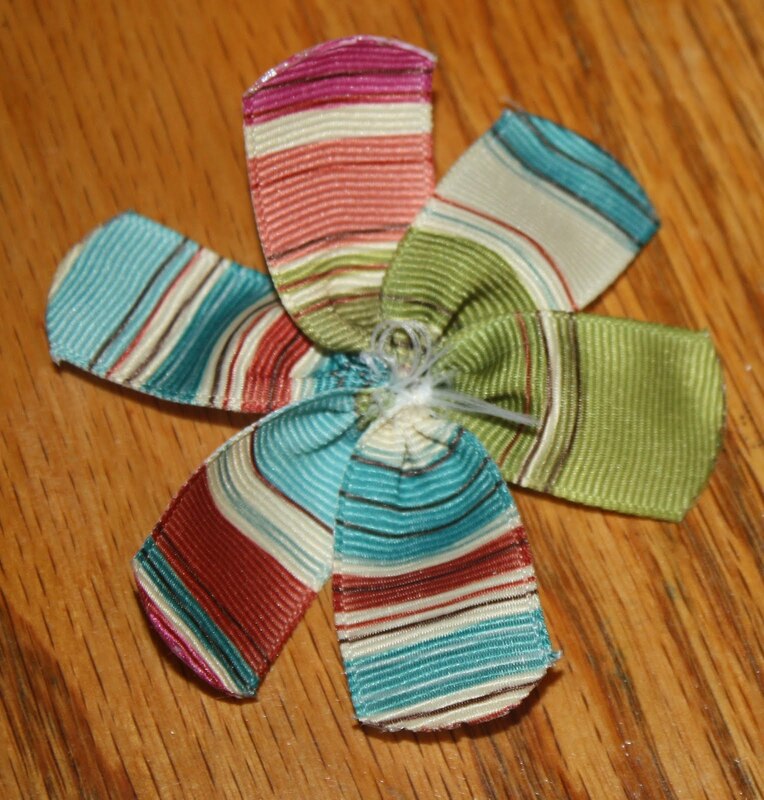 To Make the flowers cut 6 pieces of ribbon, round and seal the edges, do a running stitch at the bottom and gather tightly. 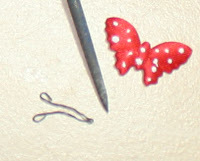 For the end of the extension I painted the butterfly, added dots, and a tiny eyelet. For the center of one flower I painted a vintage setting from Epiphany Crafts and added an Epoxy Bubble from their Shape Studio. 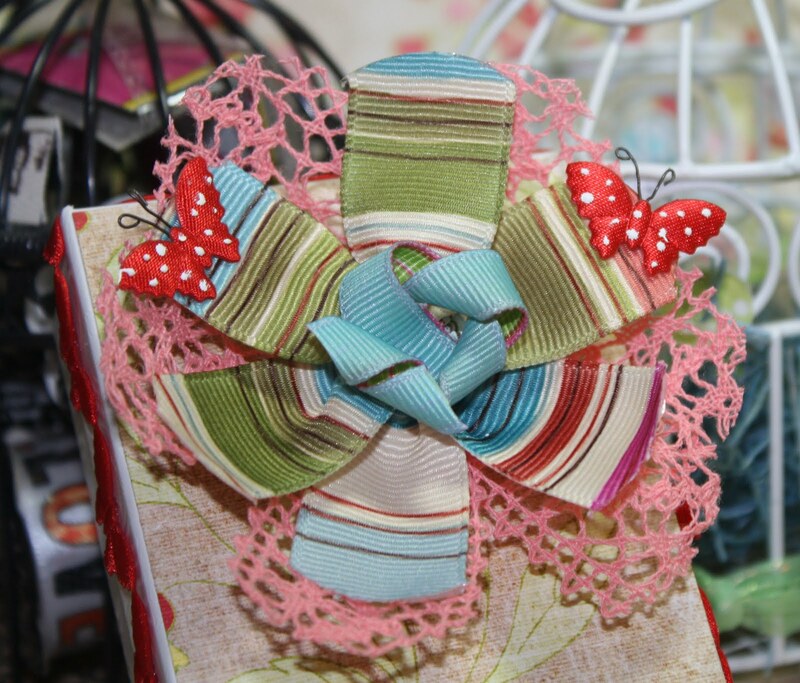 On the other one I did a Korker ribbon for the center. 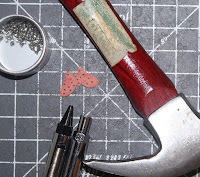 For the butterfly on the box I painted white dots and used wire to make an antennae. Thanks for the fun challenge May Arts!